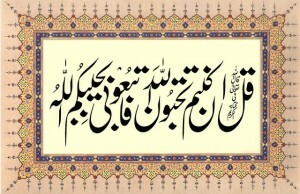 I am particular in trying not to interrupt anyone engaged in his wazeefa (wird). This is because pious elders have said that Allah SWT is extremely resentful, if a person diverts the attention of an individual busy in His blessed remembrance. Infas e Essa, volume 2, page 142/Malfoozat e Hakeemul Ummat ra, volume 22. This entry was posted in F. Zikir & fikr on July 15, 2006 by 'abd.